Standing in the checkout line at HomeGoods, I carefully inspected the items in my cart. I'd found gifts for all three of my daughter's teachers, my sister-in-law, and several stocking stuffers for my husband. I estimated that I'd overspent my budget by about 20 dollars. Luckily, my internal monologue kicked in and justified the added expense by reasoning that I was "done spending" and therefore wouldn't need to drive to any more stores. I ignored the other half of my brain which tried reminding me that I was at a strip mall. Yes, I wasn't "overspending" I was actually saving money... on gas. That's when I heard the ringing of a cheerful bell, followed by the pleasant clapping of the cashiers. An announcement over the loudspeaker informed store customers that the "bell and claps" were for donations to St. Jude Children's Research Hospital. It was a genuinely sweet noise. I found myself glancing up at the register each time I heard it. When a smiling cashier asked if I like to donate, I felt like the small boy in The Polar Express, craving the sound of the ringing bell...and the claps, too. I hadn't planned on spending more money that day. I had no problem declining other requests that morning when the robotic cashiers asked in a monotone voice if I wanted to make a donation to charity X, Y, or Z. Indeed, a wise store manager at HomeGoods had been perusing his/her psychology books. Nice work, sir or madam, nice work. A simple reward is the most effective way to reinforce a desired behavior. Here's the trick: the reward must directly follow the action. 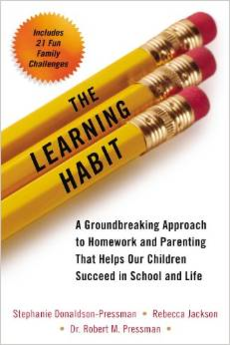 While writing and researching my new book, The Learning Habit, I interviewed parents who had offered their children the promise of enormous gifts at the end of the school year if they received straight A's during the school year. We are talking about lavish trips to Europe and new cars; things my own children have never experienced. When I asked the natural follow up question, "Did your child actually receive straight A's?" the disappointing and unanimous response was "no." Psychologists have long known that a few immediate claps for working hard on a school assignment or making a donation will yield far greater results than the promise of something bright and shiny in the far distant future. Time, for both adults and children, is illusive. It plays tricks on our memory. It makes the immediate feel like the touch of a fleece blanket against our cheek, while the future "bright and shiny" fades like a beach towel left out in the sun too long. With this insight, it's not surprising that every person in line at HomeGoods made a donation that day. 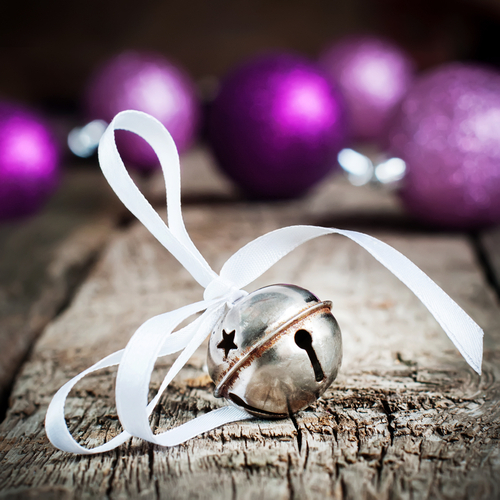 Sometimes, we just crave the sweet sound of that ringing bell.